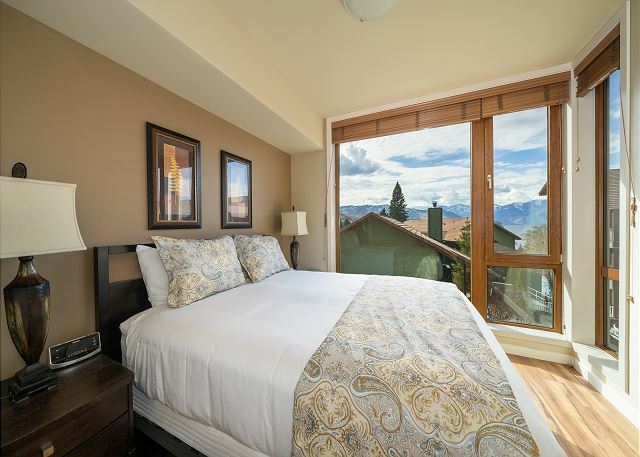 A “Slice of Heaven” provides guests with a spectacular corridor of view of beautiful Lake Chelan, majestic Stormy Mountain and the vineyards framing the lake. 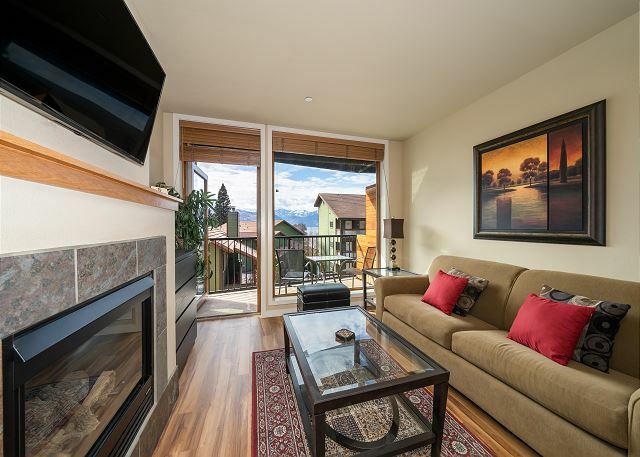 Whether you are relaxing in the living area, resting in the master bedroom or sipping your morning coffee or adult beverage at sunset from your private balcony, the beauty of the area will be your vista. 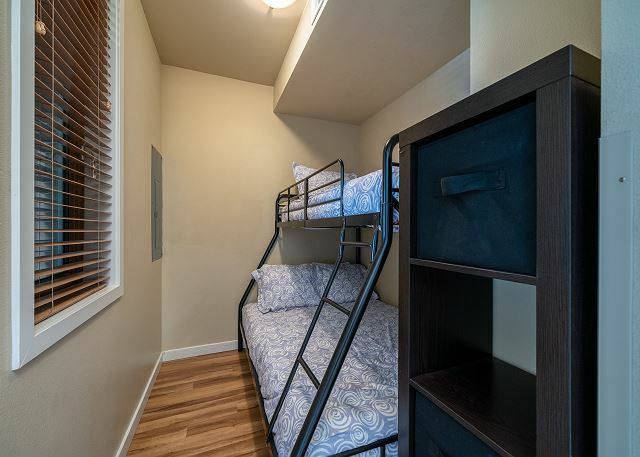 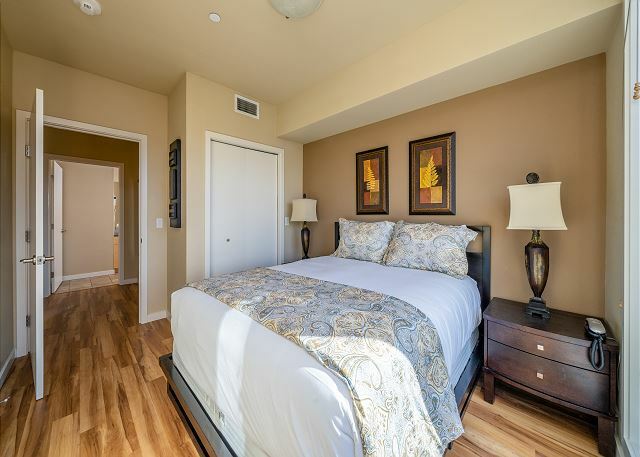 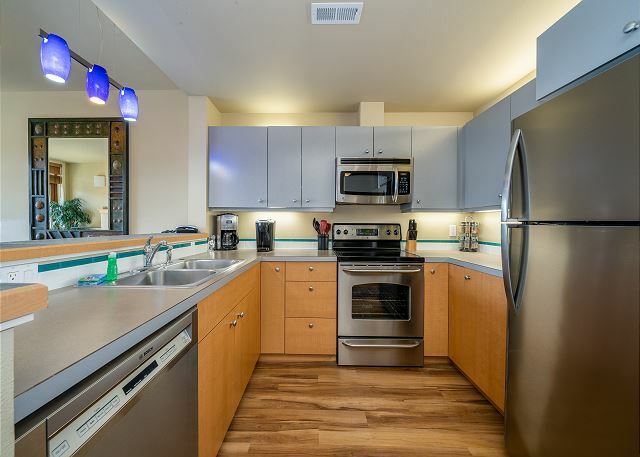 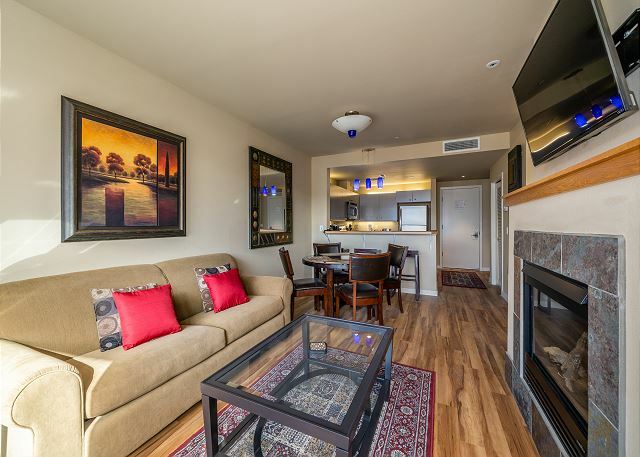 This one bedroom, one bath condo is tastefully decorated and sleeps up to 6 comfortably with a Queen bed in the private bedroom, a Queen Sleeper sofa in the living area, and single bunk bed (sleeps 2) in the sleeping cubby. 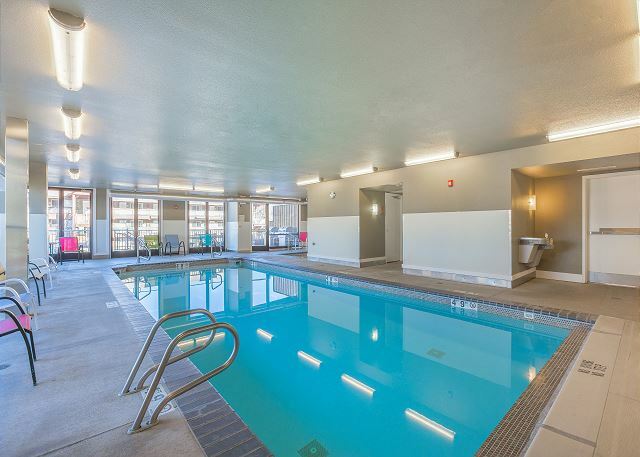 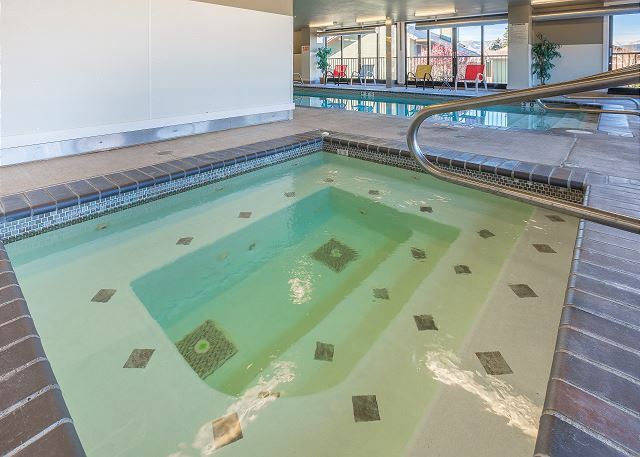 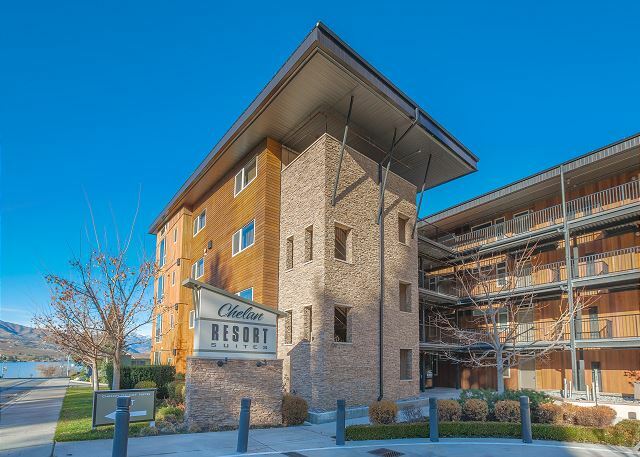 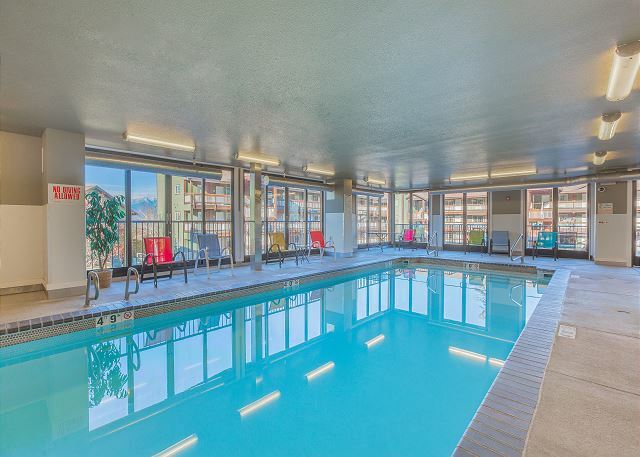 Enjoy the indoor pool and spa year round or take a short stroll to Lakeside Park to enjoy the pristine waters of Lake Chelan! 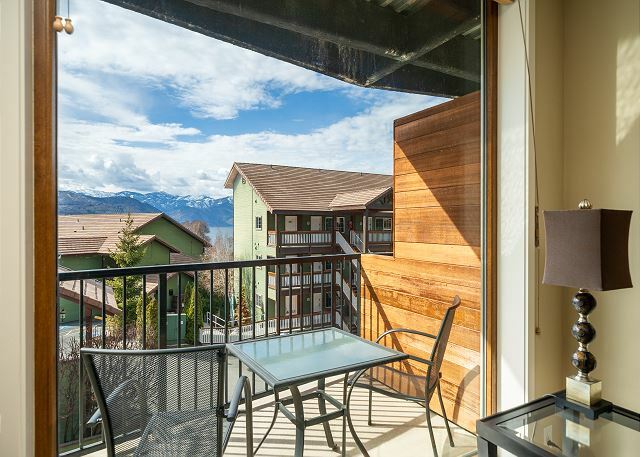 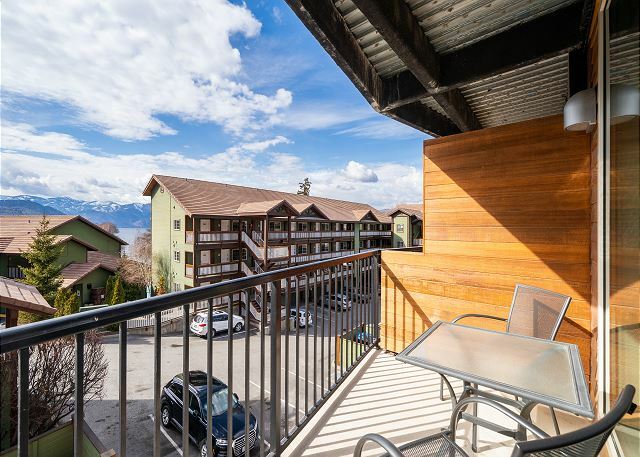 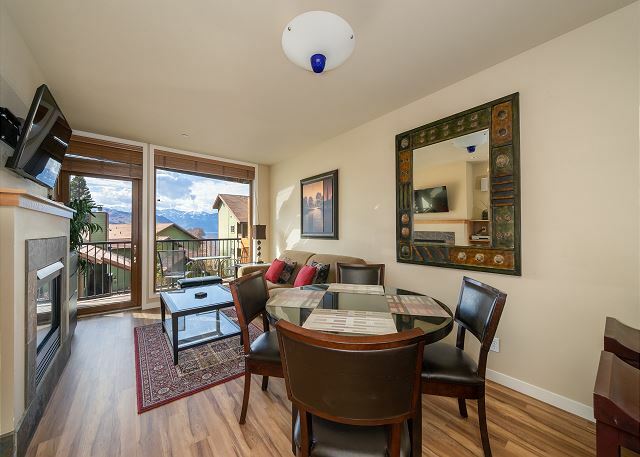 If you are planning a getaway with a larger group, a Slice of Heaven may be rented with one of the many neighboring units within steps on the same floor.